On the island of Hawai’i, known by the locals as “The Big Island,” you can fly above flowing molten lava, stargaze atop Mauna Kea, and swim with manta rays at night. For the outdoor adventure-seeker, this is the ultimate Hawaii experience. In Hawaiian, Mauna Kea means “White Mountain” named for its snow capped slopes. At 13,803 feet above sea level, this is the Hawaiian Islands’ highest peak. 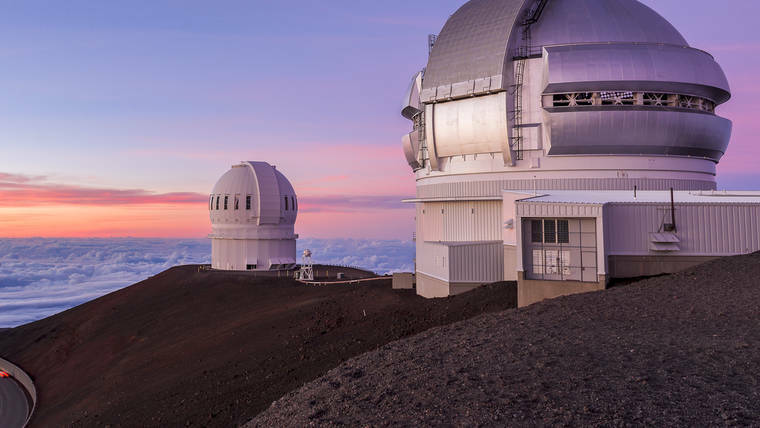 Stargaze atop Mauna Kea Summit and learn about the stars or join in a sunrise experience and watch the sun rise above the vast lava fields. Visit the Jaggar Museum and learn about the history of Hawaii’s many volcanic eruptions. 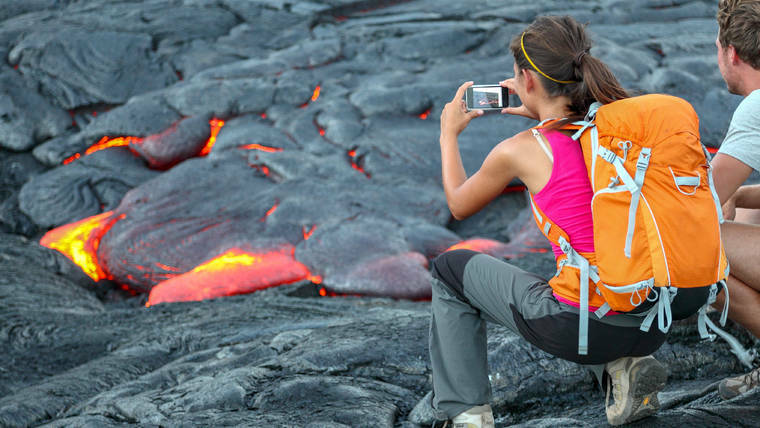 Enjoy the day hiking through lava fields or take an alternative route by flying above by helicopter. See the glowing red of Kilauea volcano from a bird's eye view on a scenic flight tour. Rent a kayak and head out to sea to Captain Cook’s Monument. 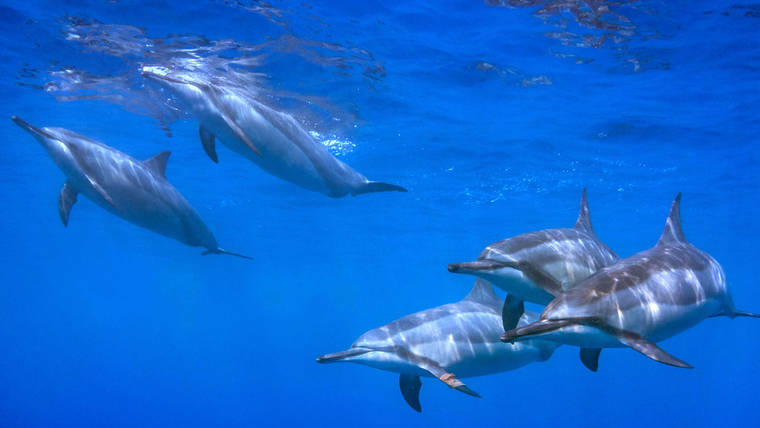 This bay is home to local Hawaiian spinner dolphins and many other tropical fish endemic to Hawaii. As you kayak across the bay, take in the serene beauty of dolphins frolicking in the distance. Located on the Hamakua Coast, the sacred Waipio Valley was the boyhood home of Hawaiian Royalty, King Kamehameha I. Journey to the end of the Hamakua Heritage Corridor to look out upon the “Valley of the Kings.” Marvel at the valley floor filled with taro farms, sprawling streams, an expansive black beach, and beautiful vistas. Experience the feeling of sand between your toes at one of Hawaii’s most famous black sand beaches. The beach has black sand made of basalt, which is created when lava flows into the ocean and explodes as it cools. If you’re lucky, see Hawaiian green sea turtles come ashore to bask in the sun. Escape on a hike through rugged terrain to access one of only four green sand beaches in the world. Marvel at this rare sight nestled inside Mauna Loa crater, one of Hawaii’s dormant volcanoes. Find grains of sand with shades of green across the color spectrum, made from green olivine crystals. Located along the northeastern Hilo Coast, you can see two gorgeous waterfalls at Akaka Falls State Park. See an abundance of wild orchids, bamboo groves and draping ferns as you hike through the tropical rainforest on this easy to moderate hike. 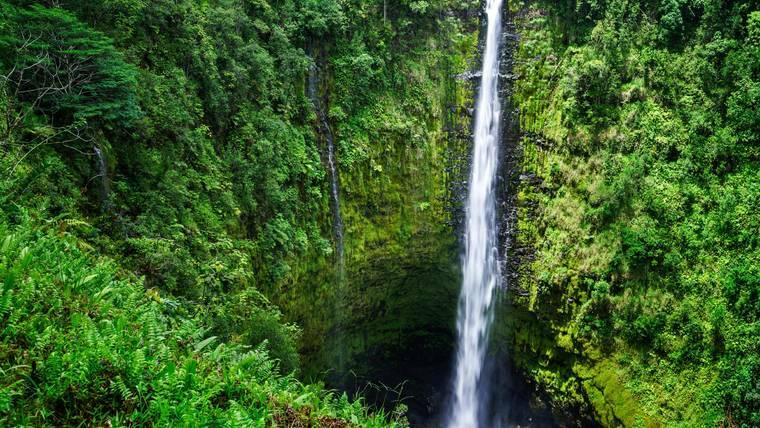 Follow the footpath leading to the iconic 400-foot waterfall known as ‘Akaka Falls. In stark contrast to the Big Island’s miles of dark lava fields, the Kohala Coast is known for its lush green foliage and thousand foot waterfalls. 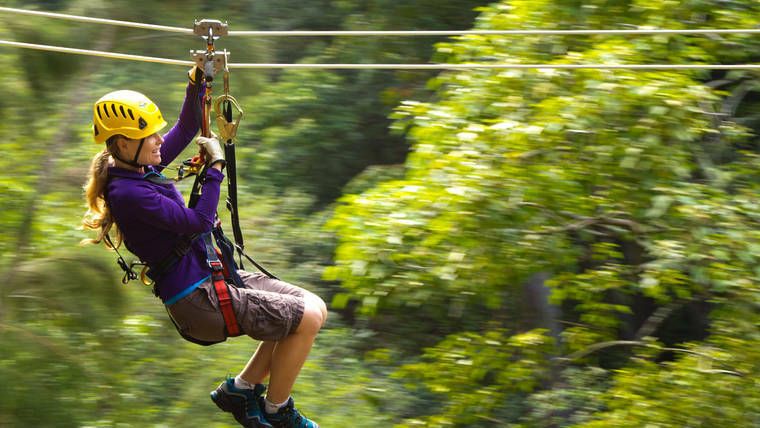 Take in the sites by zipline, go tubing with Flumin’ Kohala, or take a scenic helicopter tour over startling sea cliffs. Because the Big Island is one of the newest islands in the Hawaiian island chain, most of the beaches here are made of hardened lava rock. If you’re looking for an iconic white sand beach, Hapuna Beach is one of the Big Island’s best places to soak up the sun. Explore the coffee farms just south of Kona to see how coffee is farmed, harvested, and roasted. 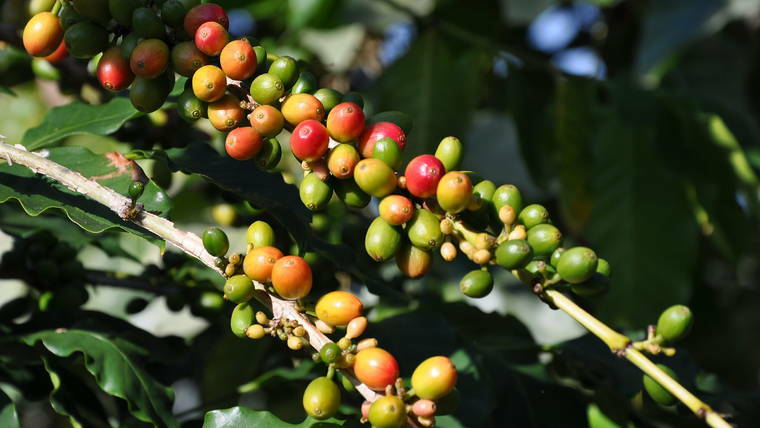 Enjoy coffee tastings at many of the Kona Coffee farms throughout the region. Learn why Hawaii is known for some of the best coffee in the world. Want to discover all there is to do in Big Island, Hawaii? Click here for a full list. Rich was great and we enjoyed ourselves. Rich is very outgoing and experienced. His knowledge and enthusiasm were boundless. The clouds did clear and there were more than 6,500 stars on display. The other earlier stops were interesting particularly the lave tube hope for me. Best snorkel tour so far, even with a toddler! I've been on 4 snorkel tours (2 in Key West, 2 in HI) and this is by far my favorite. The spot is amazing and beyond....but the boat, organization, and the crew set this trip above the rest. I took 4 kids with only myself ages 3, 6, 10, and 13 and thought I'd spend most the time in the boat with the littles, but the snorkel gear and floatation devices they had were of high quality and all my kids snorkeled the whole time and loved it. I was so happy to be able to snorkel with my littles and here their excitement flute through their snorkels...without any leaking or scares. We had one crew member in the water helping, two in the boat making sure we get in and equipped correctly, and an amazing captain, who made us aware of the spinner dolphins swimming around us. We also had one crew member on a paddle board surveying our whole group. I felt safe with them and my precious kiddos. I am so thankful for such an amazing experience to have shared with them. Our driver and the actual trip was excellent! Our driver was wonderful, professional and knowledgeable. The route was good. I would have liked fewer stops that were just for shopping. An actual tour at the coffee stop would be preferred to what was given. My main disappointment was lunch. The service was fair, the food not satisfactory. A nicer place that cost a bit more would have been preferred. My praise for the driver includes his great ability to have people stay on schedule. Completely worth it! We felt cared for from start to finish. The crew catered to our diverse group of kids to adults of various ages, making sure we were safe and had a great time. I highly recommend this company!